SAS has reported that the number of passengers increased by 1.4% to 2.6 million in October 2018. Capacity and traffic declined by 0.6% and 1.0%, respectively. Passenger load factor was slightly down by 0.3 points to 74.6%. Air Lease Corporation has announcesd financial results for the three and nine months ended September 30, 2018. Revenue was US$451 million for the three months ended September 30, 2018, an increase of 19.6% and U$1.2 billion for the nine months ended September 30, 2018, an increase of 10.0%. Air Lease Corporation took delivery of seven aircraft from its order book representing US$682 million in capital expenditures, ending the quarter with US$15.1 billion in aircraft with a weighted average age of 3.8 years and a weighted average lease term remaining of 6.8 years. The company sold 10 aircraft to Thunderbolt II Aircraft Lease Limited during the quarter for sales proceeds of US$244 million. 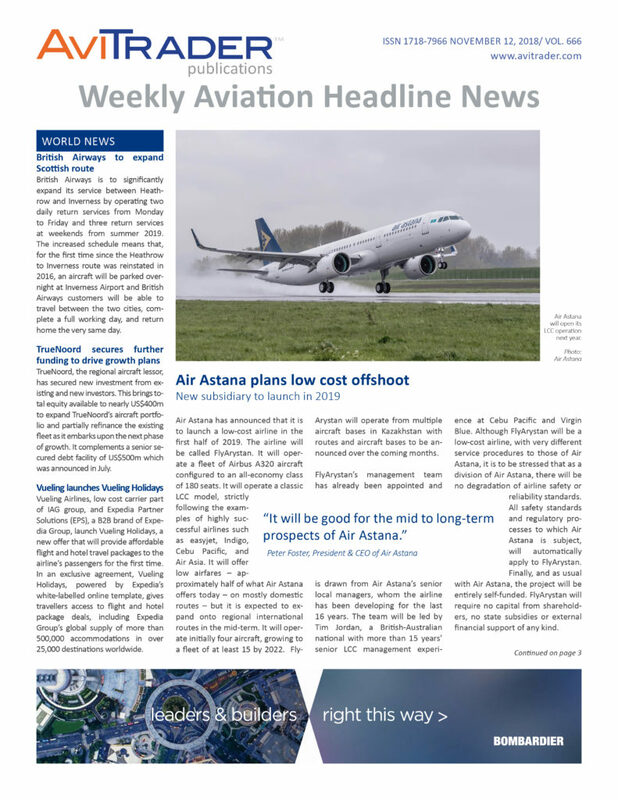 Air Lease Corporation ended the quarter with its aircraft order book 96% placed through 2019 and 82% placed through 2020 on long term leases and ended the quarter with US$24.1 billion in committed minimum future rental payments consisting of US$11.4 billion in contracted minimum rental payments on the aircraft in its existing fleet and US$12.7 billion in minimum future rental payments related to aircraft on order. In October 2018, the Lufthansa Group airlines welcomed around 13.2 million passengers. This shows an increase of 9% compared to the previous year’s month. Capacity was up 8.9% over the previous year, at the same time, traffic increased by 9.4%. Consequently the seat load factor increased by 0.4 points to 81.7% as compared to October 2017. Eurowings (including Brussels Airlines) carried around 3.7 million passengers in October. Among this total, 3.4 million passengers were on short-haul flights and 280,000 flew on long-haul flights. This amounts to an increase of 13.4 percent in comparison to the previous year. October capacity was 17.9% above its prior-year level, while traffic was up 19.0%, resulting in an increase of seat load factor by 0.8 points to 81.4%. Air Transport Services Group, has completed the previously announced acquisition of Omni Air International (Omni Air), a passenger ACMI and charter services provider, along with related entities, for US$845 million, subject to customary adjustments. In contemplation of the Omni purchase, ATSG has agreed to amend its senior credit facility with a consortium of banks led by SunTrust Bank, previously dated May 31, 2016. The new amended agreement has an aggregate principal amount of US$1.28 billion, consisting of the continuing secured revolving credit facility of US$545 million, a continuing secured term loan with a current balance of US$60 million, and a new US$675 million secured term loan. The maturity date of these loans is May 30, 2023. The amended facility includes an accordion feature that would allow the total amount of borrowings under the facility to increase by up to US$400 million, assuming certain conditions and with bank consent. The total amount of additional debt ATSG and its subsidiaries may incur outside of the amended facility increases from US$300 million to US$500 million. Credit terms are consistent with the existing facility, including with respect to provisions limiting ATSG’s ability to declare or pay dividends or repurchase shares, and requires ATSG to maintain specified financial ratios and minimum collateral values, and meet other financial condition tests. The facility is secured by substantially all of ATSG’s Boeing 777, 767 and 757 aircraft. OEMServices and Japan Airlines have signed a 10-year component support agreement for the airline’s planned fleet of thirty-one A350 aircraft. With the support of major Original Equipment Manufacturers (OEM), OEMServices’ Original Integrated Services will cover the component repair, global component availability and 24/7 component support for Japan Airlines’ fleet of Airbus A350-900 and A350-1000 aircraft. Within the scope of this contract, OEMServices will be supporting Japan Airlines’ 31 Airbus A350, currently on-order, backed by its unique long-term source of know-how of the aviation industry’s supply chain. This agreement confirms OEMServices leading position on the A350 component aftersales support. “Without doubt, Dubai is a strategic location for us, since it is situated in the heart of one of the largest aviation markets. Moreover, being next to Al Maktoum International Airport and just half an hour drive from Dubai International, our new hub will be able to deliver engine stands to major world locations within just a couple of days or even hours,” shares Daiva Žemaitė, the Head of EngineStands24. The new hub will store stands for narrow-body aircraft engines, including those for CFM56-5A/B, CFM56-7B and V2500. The warehouse will also be supplemented with a range of wide-body aircraft engine stands. The hub, which is set to start operations in 1Q 2019 will become EngineStands24’s fourth location – the first outside Europe. The company is working to establish engine stand hubs in the USA and South-East Asia in the upcoming future. “Opening a new warehouse in Dubai is an important step for both Magnetic MRO and EngineStands24, as we keep expanding into the Middle Eastern MRO market. 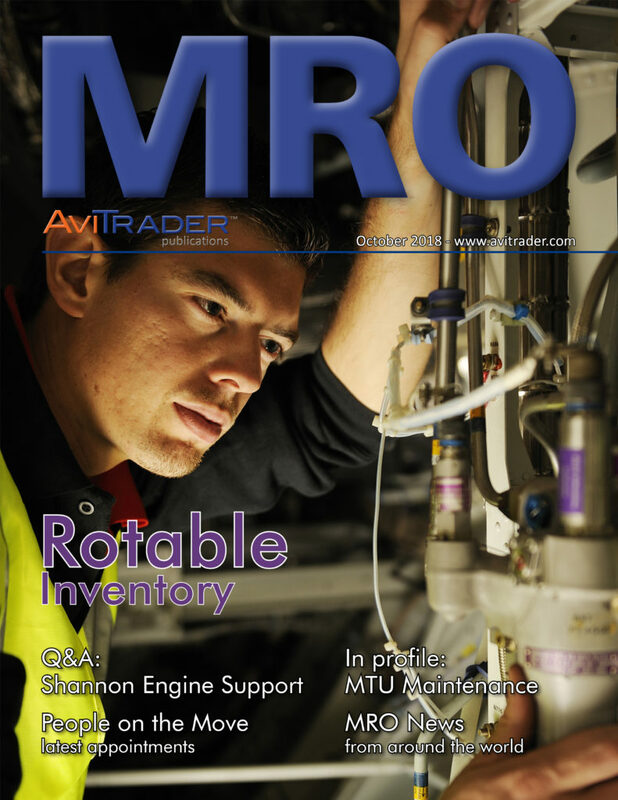 It complements our upcoming offerings in the region,” comments the CEO of Magnetic MRO, Risto Mäeots. Rolls-Royce has introduced a new Trent XWB Engine Change Service, with Hong Kong Aircraft Engineering Company Limited (HAECO Hong Kong) as its launch partner. The service enables Rolls-Royce customers to access its OEM expertise and supplier network, with Rolls-Royce acting as a one-stop shop to organise labour, parts and/or tooling for any Trent XWB engine change event. Offered on a time and material basis, Rolls-Royce customers are able to request a quote for their engine change event requirements from its 24/7 Aircraft Availability Centre, be that a home base or remote site location. Rolls-Royce plans to continue to develop the service over time by creating a global network of service support providers, full integration with the CareStore services, including Foundation Services, and expansion of the service coverage to initially the Trent 7000 engine family, and potentially across the full Trent engine family.